This Saturday, the Office for Identity, Culture and Institutional Equity (ICIE), in collaboration with the Center for Racial Justice in Education, will host a follow-up session to an event held last spring for parents to learn about how to discuss race and racism. According to its website, the Center for Racial Justice in Education aims to “train and empower educators to dismantle patterns of racism and injustice in our schools and communities” by providing professional development trainings and consultation services. 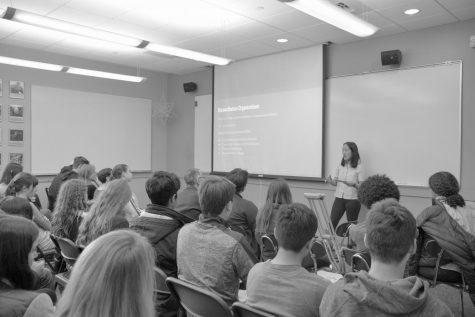 The center held two sessions last February – one for school faculty and one for parents – to discuss how to have conversations about race and racism with young people, Co-Director of the ICIE John Gentile said. The parents that attended the training last spring asked to bring back the center’s facilitators for a continuation of the first discussion, Director of the ICIE Patricia Zuroski said. Keila Soto P’24 said she attended the center’s event last February because “as a family of color at Horace Mann, I thought it was very important to jump at the opportunity to get together with other Horace Mann families to discuss this very uncomfortable yet necessary topic of race in a safe environment,” Soto said. “My daughter had had a few racially charged experiences last school year both in and out of school and I thought that this event could not have come at a more opportune time so that I could learn more about how to discuss race and racial issues appropriately and intelligently with my child at home,” she said. On Saturday, “a dozen of the people who attended the first meeting came together for a refresher course on race and it’s systemic impact in our society, school and homes,” Soto said. “The parents will do some small group work that will lead into practicing responses to different scenarios, so it’s a little bit of a discussion but also some actual acting, performing and roleplaying,” Gentile said. Soto’s favorite part was the role playing because it was a great way to learn strategies on how to better address racial topics with children, she said. Roleplaying and storytelling are quick but efficient ways to contextualize the experience of having these conversations, as parents will be able to see how scenarios regarding race and racial identity play out in a practical application, Gentile said. 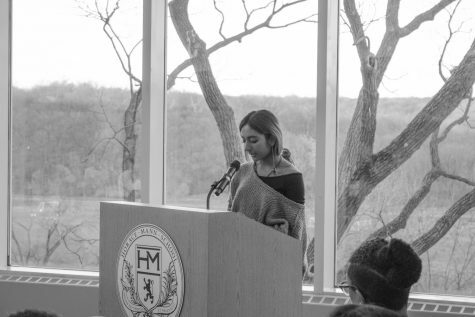 Danielle Stennett-Neris P’19, who attended the event in February and will be attending on Saturday, believes that open dialogue is the best way to discuss challenges as it allows everyone the opportunity to share real life stories and experiences, she said. “We’re holding the follow up because we know that the language around this topic is moving quickly and shifting constantly, and it’s important to build people a toolbox to be able to have these conversations,” Gentile said. “This kind of thinking is about being able to talk about things that you may not be that familiar with or comfortable with, so the role-plays help get you to a place to feel comfortable to step into the conversation,” Zuroski said. While some parents have previously gone to the center’s public workshops, the February workshops were the first time the ICIE brought the organization to the school, Zuroski said. “We’ve been interested in bringing the center to the school for many years, so it was great knowing that the workshop was so well-received by the parents that they even wanted a follow-up,” she said. Having an outside perspective working with us was very helpful as it was good to have a separate viewpoint on how to listen to and help build the community, Zuroski said. “[The center] was really great because they listen to people’s concerns and often help people understand why they might be anxious about this kind of conversation, what you might be afraid of when you’re not sure, what other people might say, and how they will respond to it,” she said. Zuroski hopes that parents can come away from the workshop with not only a greater sense of awareness but also with some sense of the role that they can play in combating racism, she said. By thinking about their own experiences and building empathy between others who may experience race and racism differently, parents will hopefully leave the workshop with a greater sense of trusting others in the school community so that everyone can continue to have these conversations together, Zuroski said. 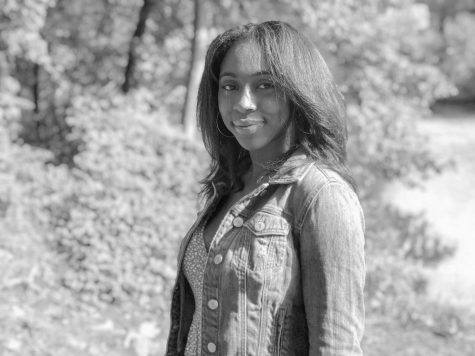 “As a person of color I already know the experiences that a black woman goes through, but I learned last time that some people didn’t quite understand these experiences, and some were shocked, disappointed, or upset when they heard them, because now they are able to grasp the intensity of what we go through even if they don’t go through it themselves,” Stennett-Neris said. “The most important takeaway from this meeting for me was that we have much to learn, and that we need to continue having these meetings on a much more consistent basis in order to help educate ourselves, our children, and our community as best we can to fight the battle against systemic racism,” Soto said. Saturday’s discussion was only three hours long as compared to the all day event held last February, and Soto wishes that this event was longer as everyone wanted to continue talking and learning, she said. “This was a great workshop and I wish it could have been longer, like a three or four day event, because I can take back what I learned to my community, my neighborhood, and my family,” Stennett-Neris said. There were only a dozen participants at this event while there were many more at the first meeting. “I prefer the cozy setting, as being in a smaller group allowed for more individual participation,” Soto said.